Master Doug Cook holds a 6th dan black belt in the Korean martial art of taekwondo and is certified as an instructor by the United States Taekwondo Association and World Taekwondo Federation. He is author of three best-selling books focusing on taekwondo entitled: Taekwondo--A Path to Excellence,released in 2009 a "finalist for the USA Book News Award",Traditional Taekwondo - Core Techniques, History, and Philosophy, a finalist for ForeWord magazine's "Book of the Year Award,"and Taekwondo--Ancient Wisdom for the Modern Warrior. His fourth book, Taekwondo Black Belt Poomsae-Original Koryo and Koryo was co-authored with Grandmaster Richard Chun. All four editions are published by YMAA Publication Center. 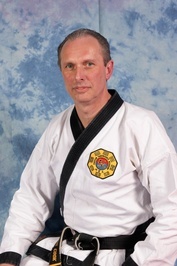 Master Doug Cook currently shares his Master Doug Cook holds a 6th dan black belt in the Korean martial art of taekwondo and is certified as an instructor by the United States Taekwondo Association and World Taekwondo Federation. He is author of three best-selling books focusing on taekwondo entitled: Taekwondo--A Path to Excellence,released in 2009 a "finalist for the USA Book News Award",Traditional Taekwondo - Core Techniques, History, and Philosophy, a finalist for ForeWord magazine's "Book of the Year Award,"and Taekwondo--Ancient Wisdom for the Modern Warrior. 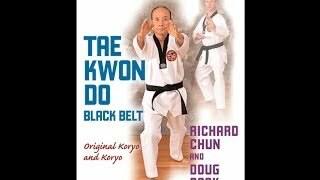 His fourth book, Taekwondo Black Belt Poomsae-Original Koryo and Koryo was co-authored with Grandmaster Richard Chun. All four editions are published by YMAA Publication Center. Master Doug Cook currently shares his knowledge of taekwondo by writing articles for TaeKwonDo Times, Black Belt, and the United States Taekwondo Association Journal. He also writes a monthly column, Traditions, for TaeKwonDo Times magazine. In 2010, he led a group of students on a Taekwondo Training and Cultural Tour to Korea, "the land of the morning calm" along with Grandmaster Richard Chun, 9th dan black belt. Chun is one of the five original masters responsible for bringing taekwondo education to this country. 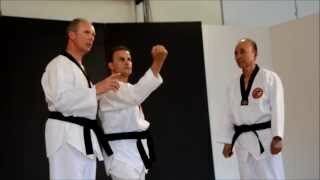 relationship between Korea and the United States through martial arts. Here in the United States, he was invited to speak as a guest lecturer at the University of Bridgeport. This university is the only institute of higher learning in the country to offer a major in martial arts.
" I am an author and have a book on my page that doesn't belong to me. I am Doug Cook and the book is Nutrition for Canadians for Dummies. How do I dele I am an author and have a book on my page that doesn't belong to me. I am Doug Cook and the book is Nutrition for Canadians for Dummies. How do I delete it from my profile> ...more "
motions of a poomsae or becoming aquainted with Korean culture.